If you have extra time in Portland, we highly encourage you to check out all that the city’s creative, hipster, environmentally-friendly culture has to offer. Whether you are into music, food, shopping (tax free! ), art, or the outdoors, Portland’s got you covered–check out this comprehensive list of attractions and activities. 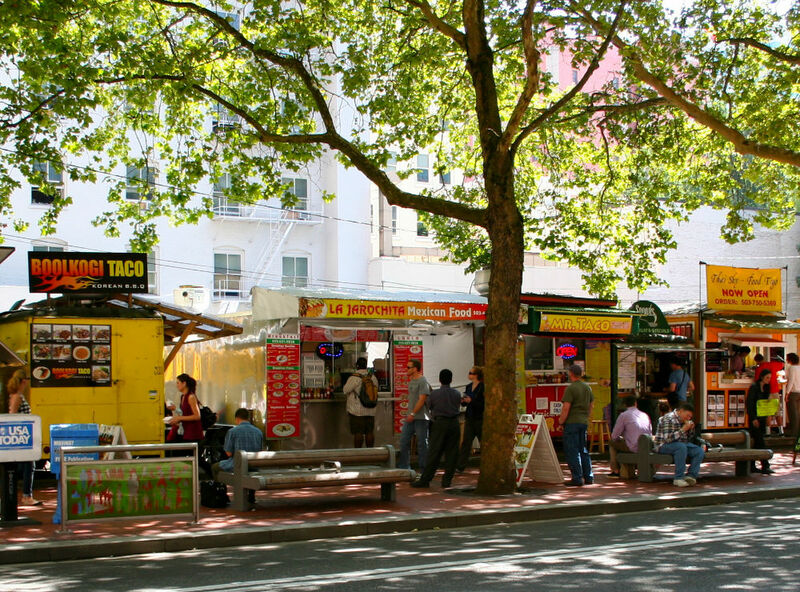 Like many large U.S. cities, Portland’s distinct neighborhoods offer unique experiences. 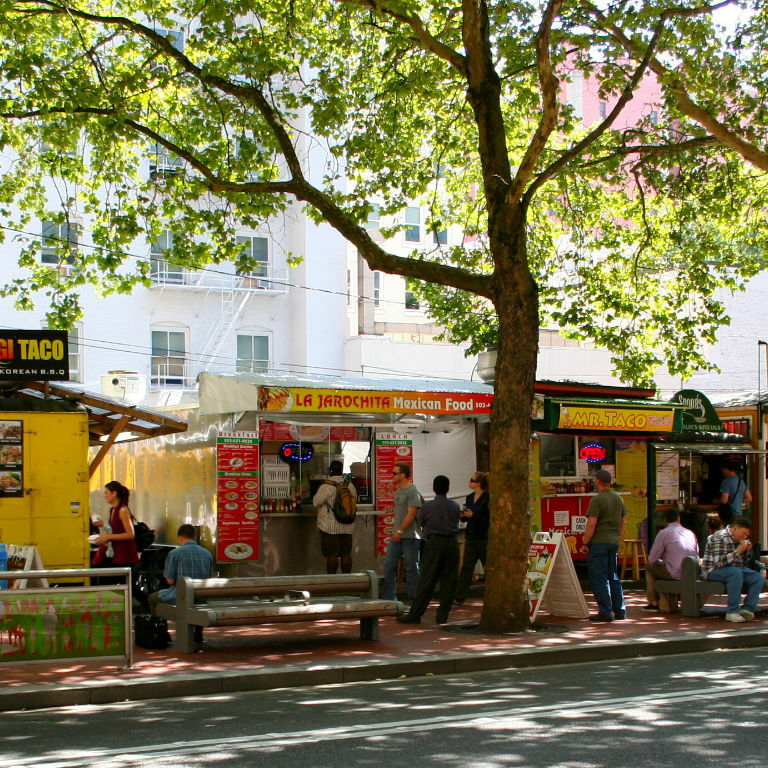 Get familiar with all the neighborhoods in the city with this guide. This year we have the distinct advantage of having insider info to Portland! MeetGreen, our conference management team, is based in Portland. Below are lists of their must-see attractions and restaurants. Pittock Mansion– check out the views! International Rose Test Garden – we stop at Zupan’s Grocery on the way for an afternoon picnic! Lime scooters– starting up again this spring! 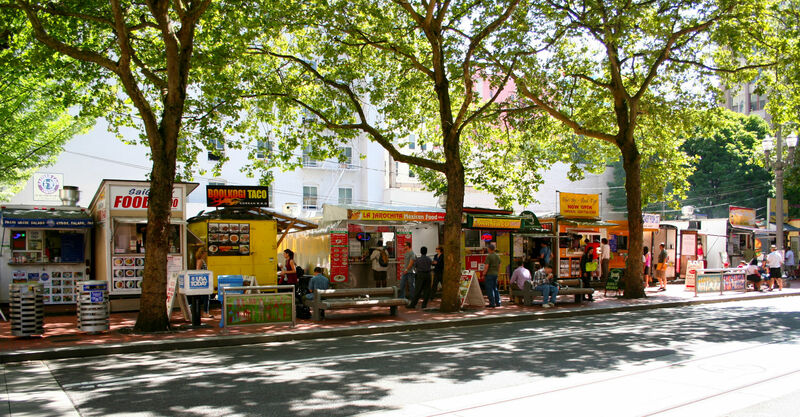 Portland Food Carts are the best! We especially love Cartopia! SPLC has also arranged some local and regional tours on Sunday May 19. These tours will be posted in February–check back then!